Now you can cruise the seedy streets of Grand Theft Auto IV's take on Liberty City from the comfort and safety of your web browser, thanks to the efforts of GTA's most dedicated fans and some 80,000 screen shots. 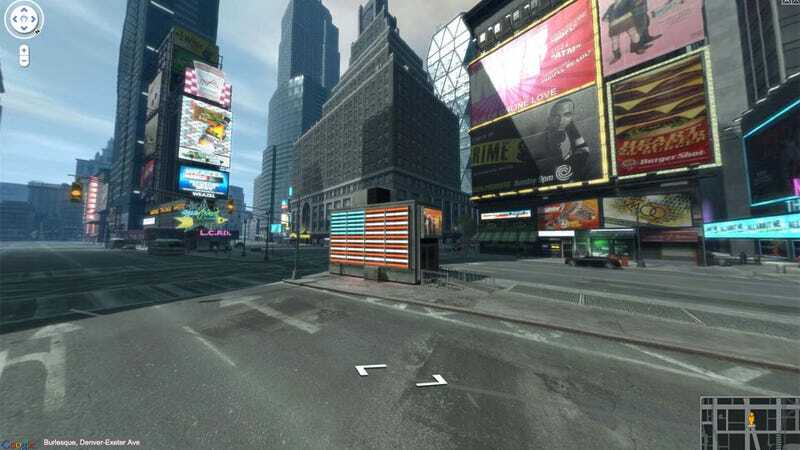 The folks who run GTA4.net added an impressive new feature to their interactive GTA IV Google Map earlier this month, letting you revisit the boroughs of Liberty City from a Niko's eye view. "All roads are covered, except for a few on/off-ramps that weren't very interesting," writes Adam from GTA4.net. "There's around 3,000 separate panoramas which were stitched together from almost 80,000 in-game screenshots (captured with a script) and the final set of tiles consist of over a million images." Zip around town if you'd like, because we're told there are some hidden Easter Eggs scattered throughout the city.